Piazza Barberini is of course one of the most visited piazzas in Rome where Bernini's glorious Triton Fountain stands. 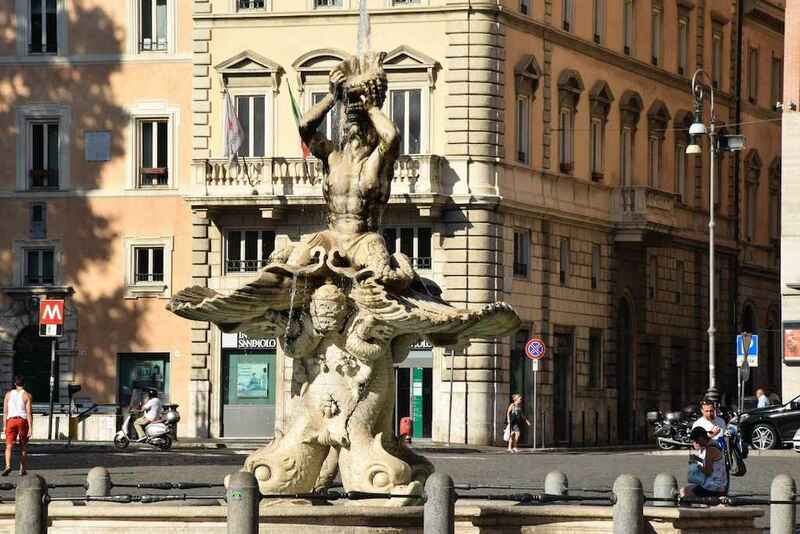 The fountain is one of Bernini's masterpieces in honour of his great protector Urbanus VIII. The four dolphins carry the coat of arms of the Barberinifamily while Triton blows a jet of water into the air through a shell held up in his hands. Nearby we can also see the magnificent Barberini Palace whose facade opens up the palace instead of enclosing it within an impermeable block as most other palaces of this epic were constructed. Construction of the palace began in the early 17th century for the Barberini Family. Originally started by Carlo Maderno, the construction was taken over by Bernini and assisted by Francesco Borromini in 1629 after Maderno's death.